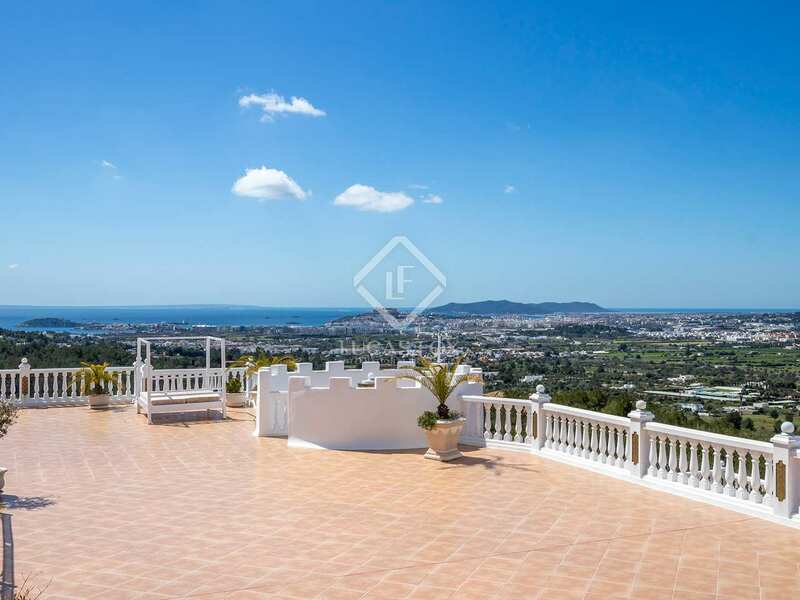 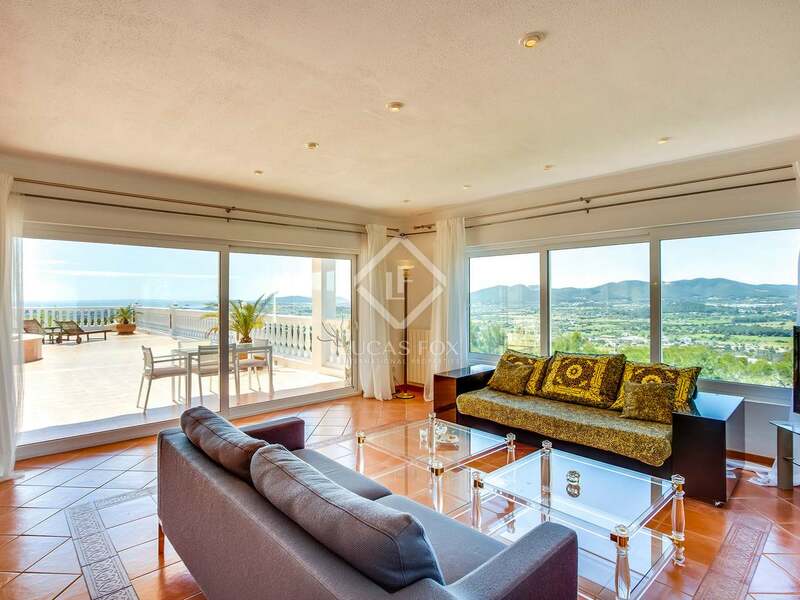 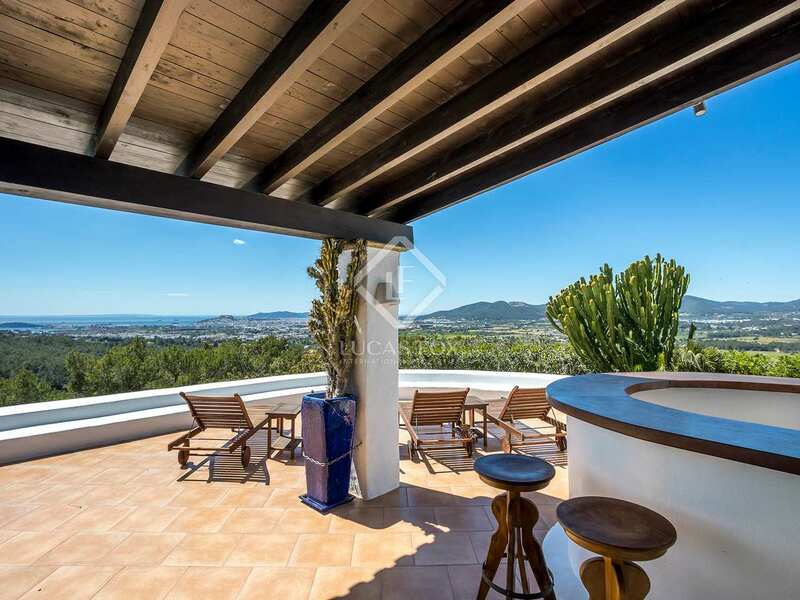 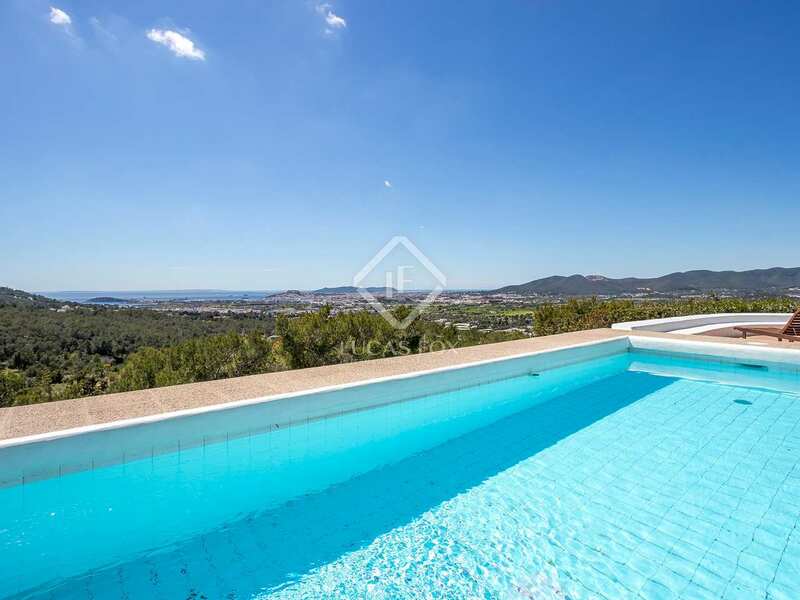 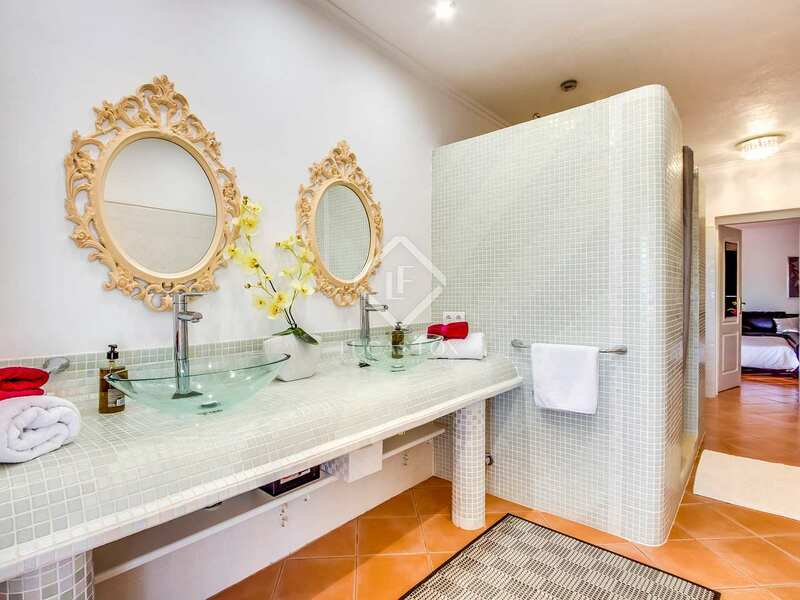 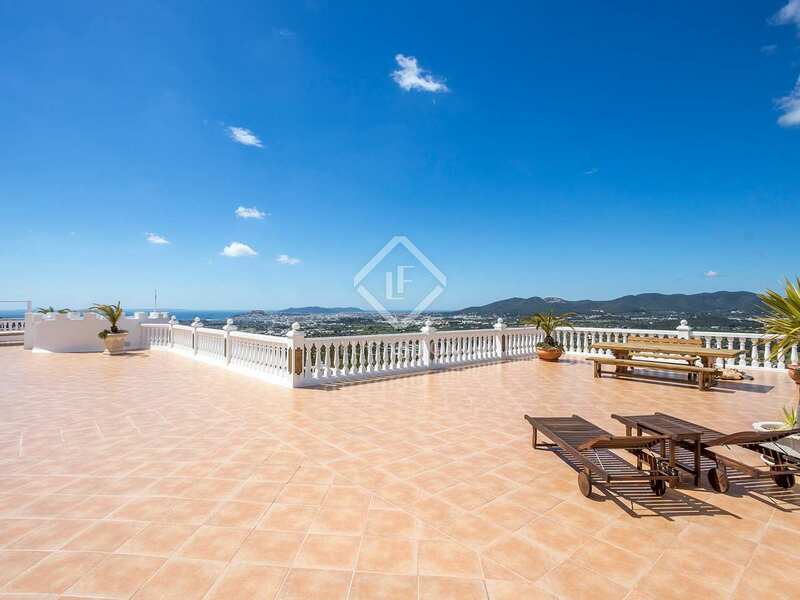 This spectacular 12-bedroom property is perfectly positioned in the prestigious Can Furnet urbanisation, a private community nestling in a beautiful hilltop natural reserve with 360º vistas. 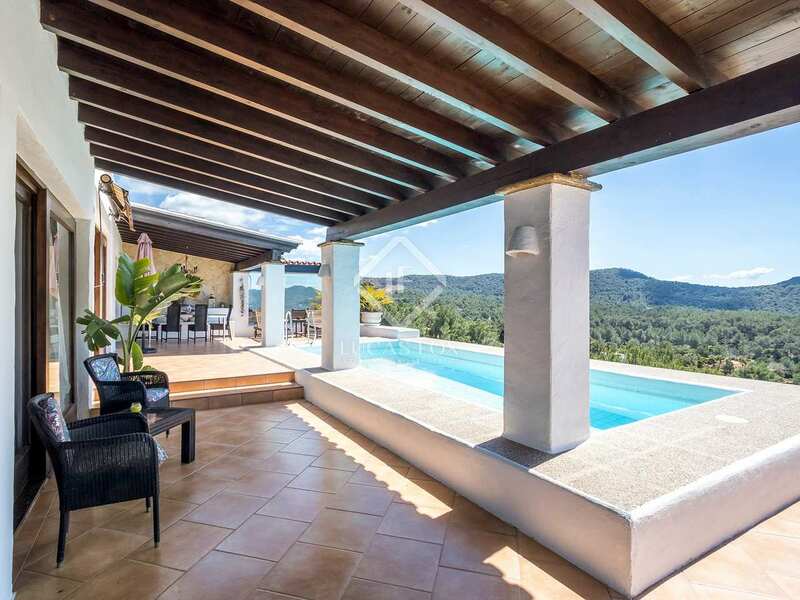 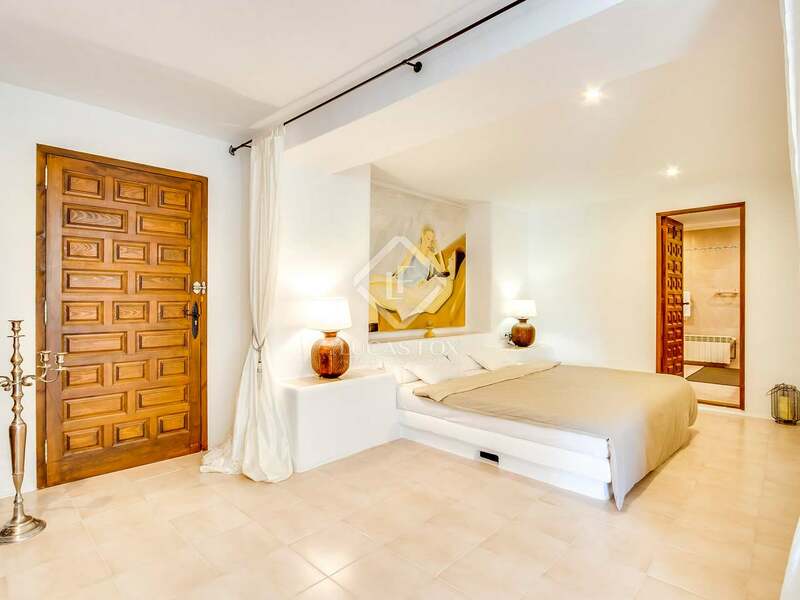 This vast luxury mansion combines secluded rural living with very close proximity to the culture and nightlife of Ibiza town and the White Isle's world-famous beaches. 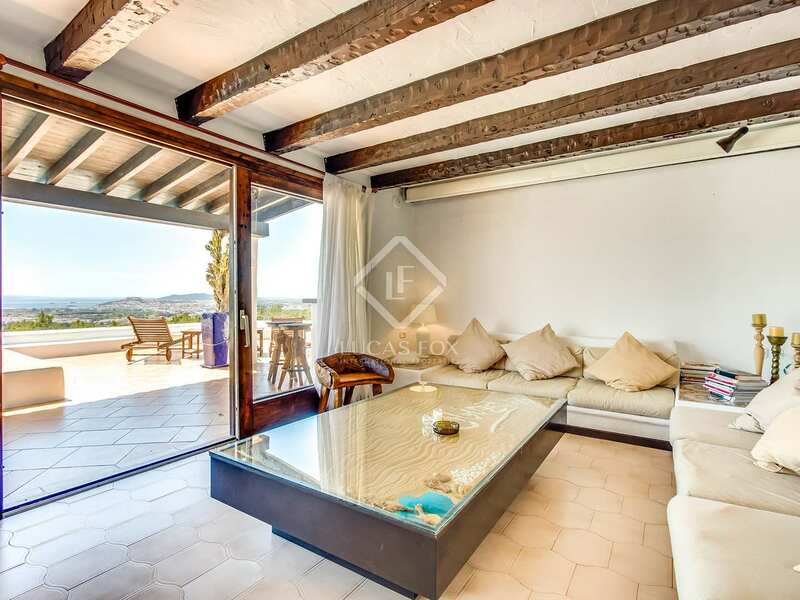 Originally 2 buildings that have been seamlessly combined and beautifully finished, the house has a vast 800 m² roof terrace that is hard to beat for relaxing, entertaining, al fresco dining and enjoying the Mediterranean climate and picture-perfect sunsets. 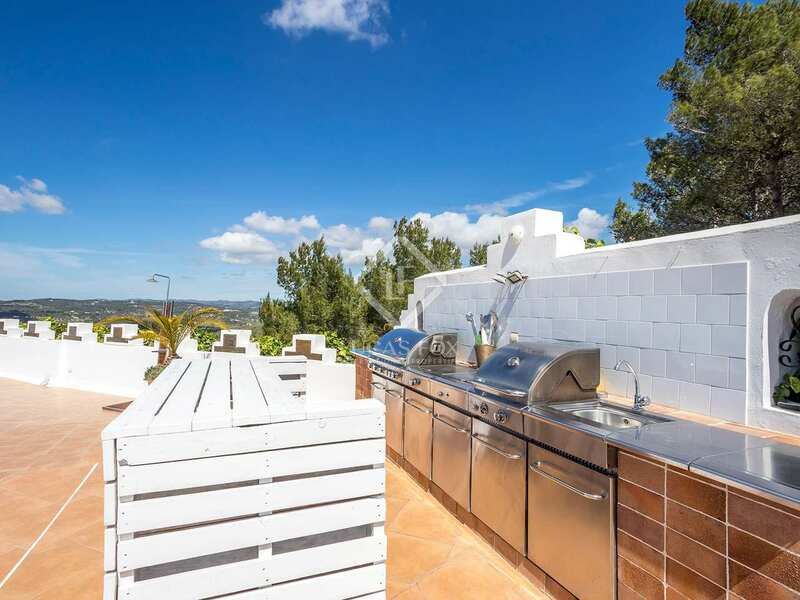 Natural relaxing areas abound, the swimming pool is perfectly placed to chill out and the barbecue area is great for supplying guests in the sky lounge dining area. 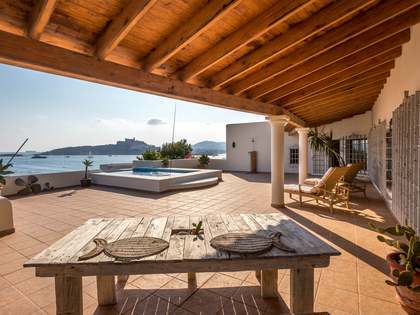 There are few better places from which to socialize and look out over the Mediterranean, Ibiza Town, Talamanca Beach, Formentera, Marina Botafoch and Las Salinas. 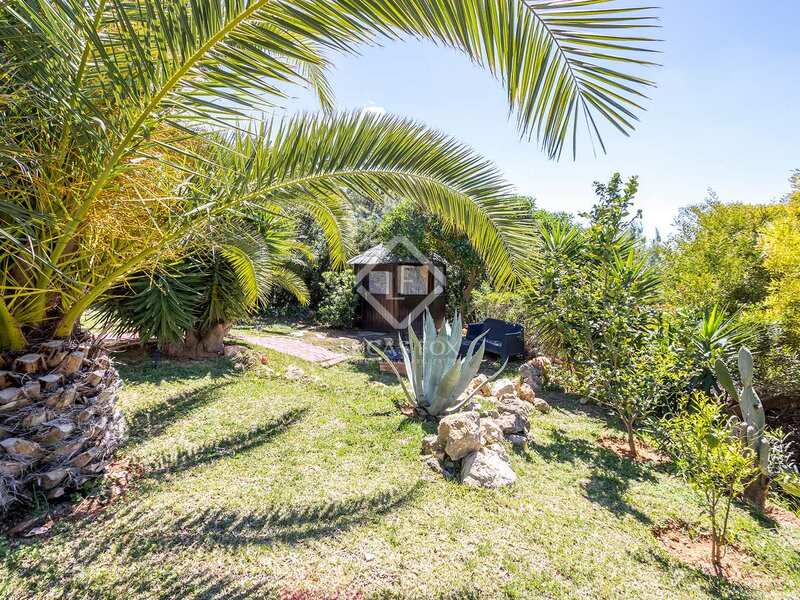 For those who prefer to get even closer to nature, the 3,000m² landscaped plot also includes a beautiful palm-tree garden. 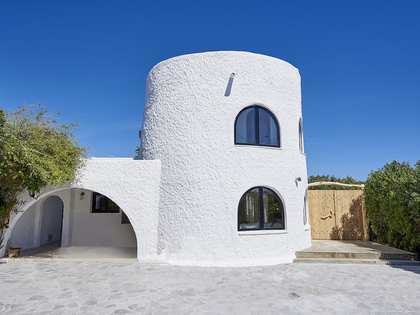 The property is at the end of a lane which gives it uninterrupted connection to the rolling natural park on three sides. 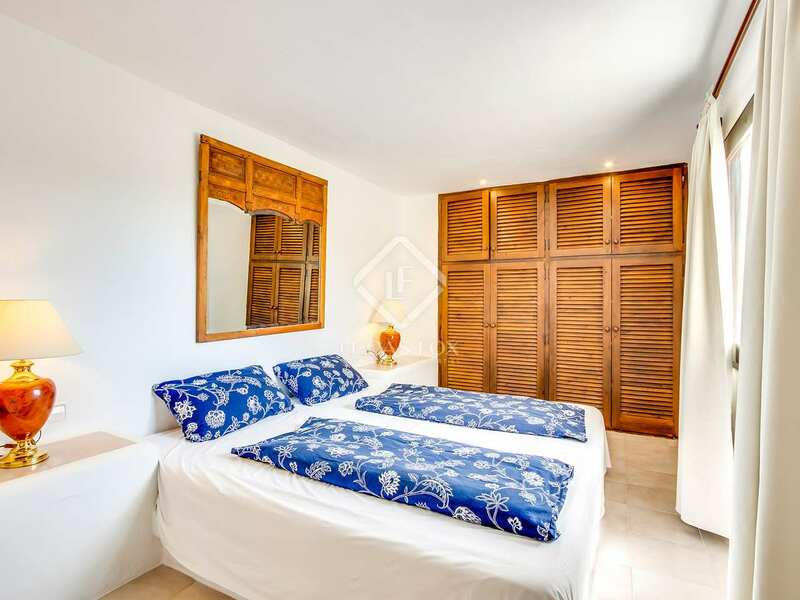 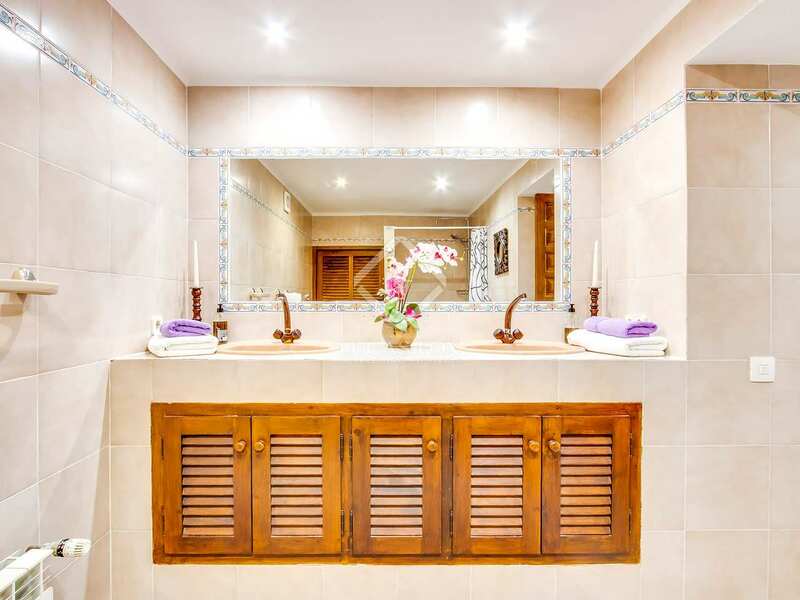 Accommodation is extensive and versatile with 12 bedrooms and 10 bathrooms. 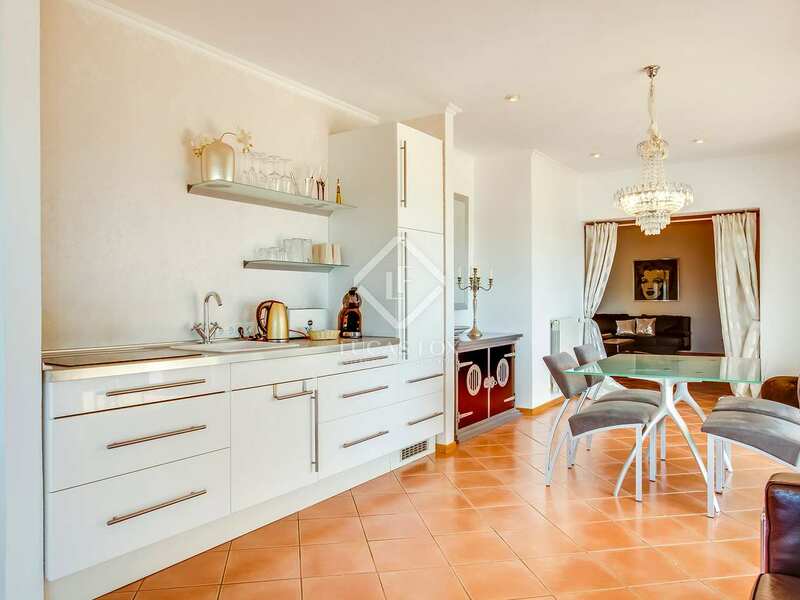 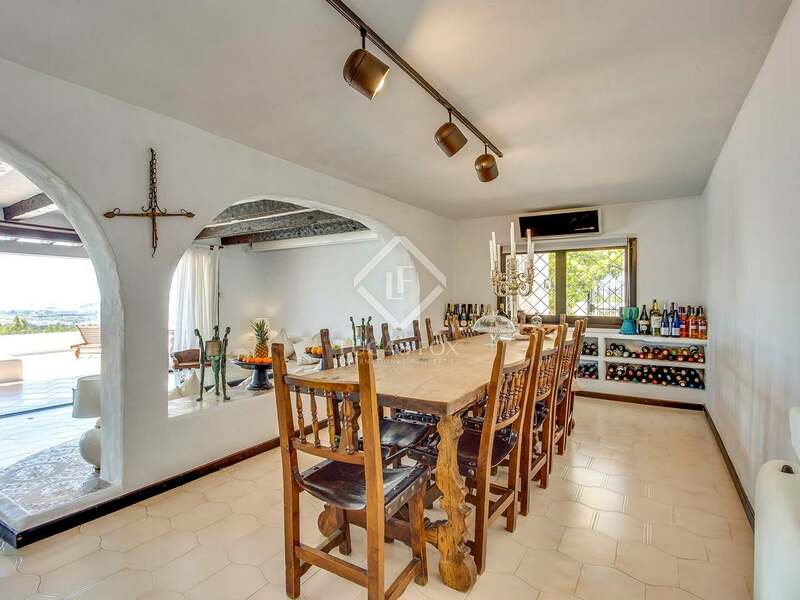 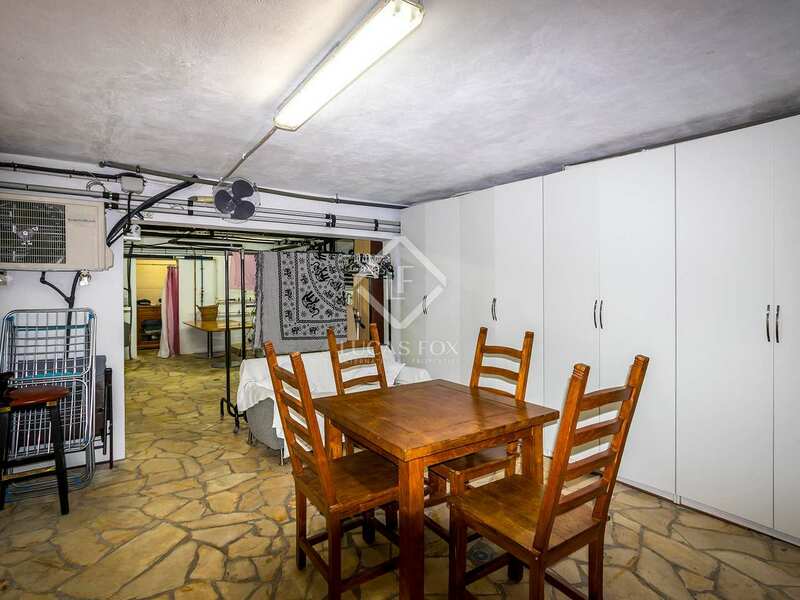 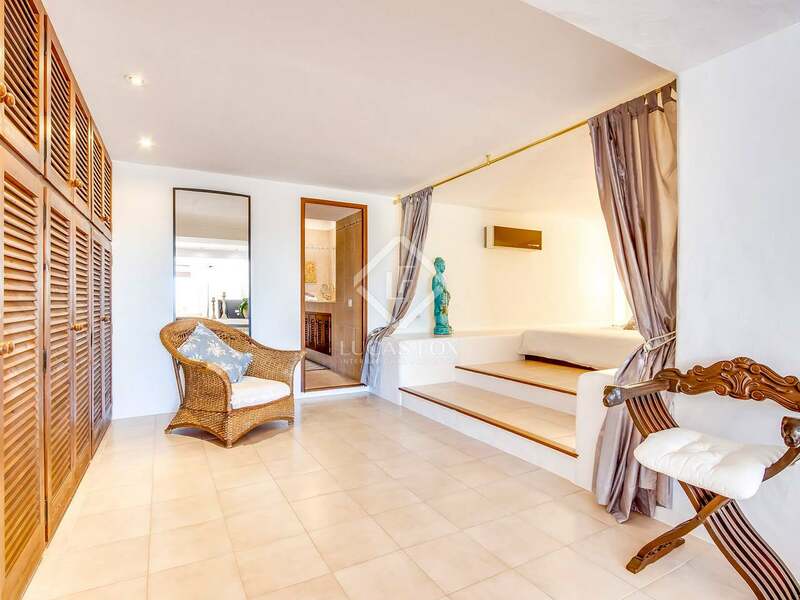 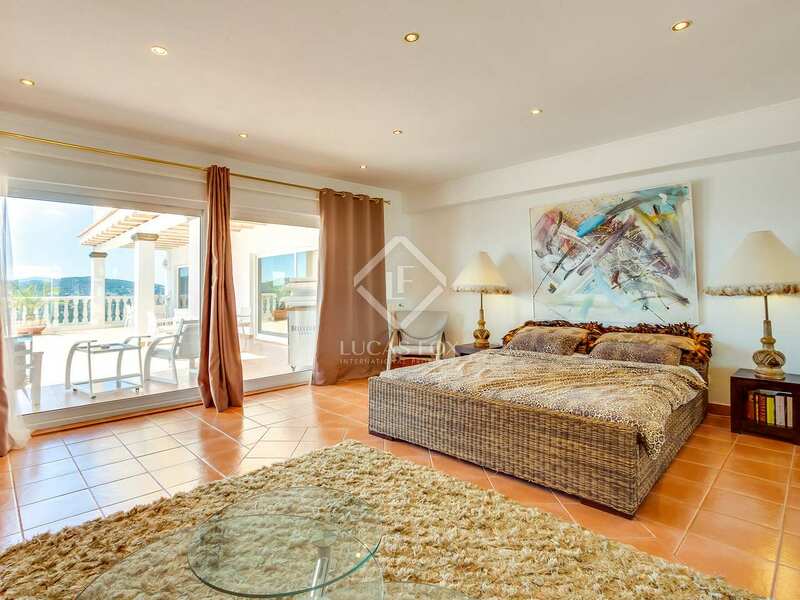 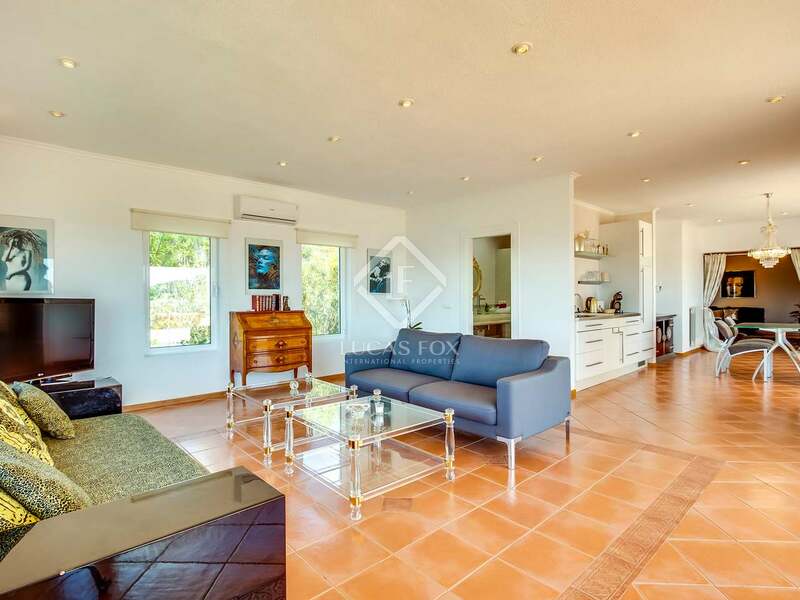 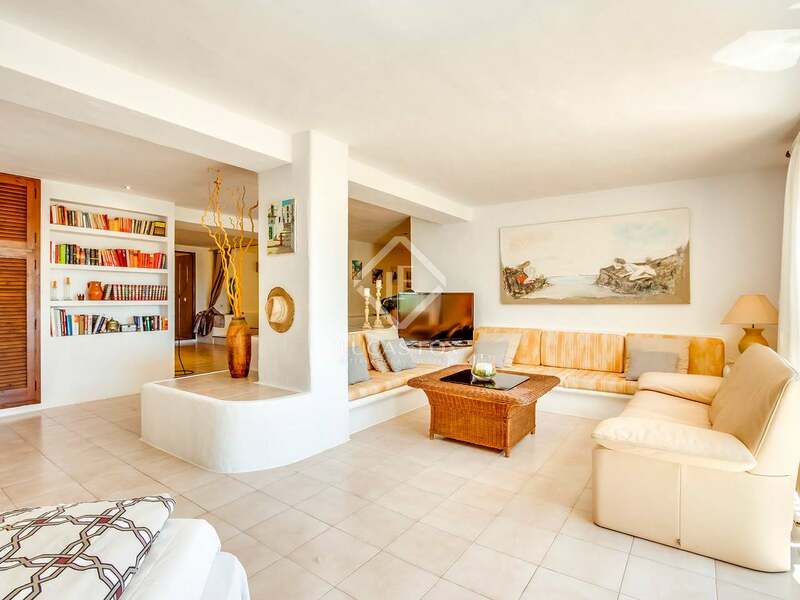 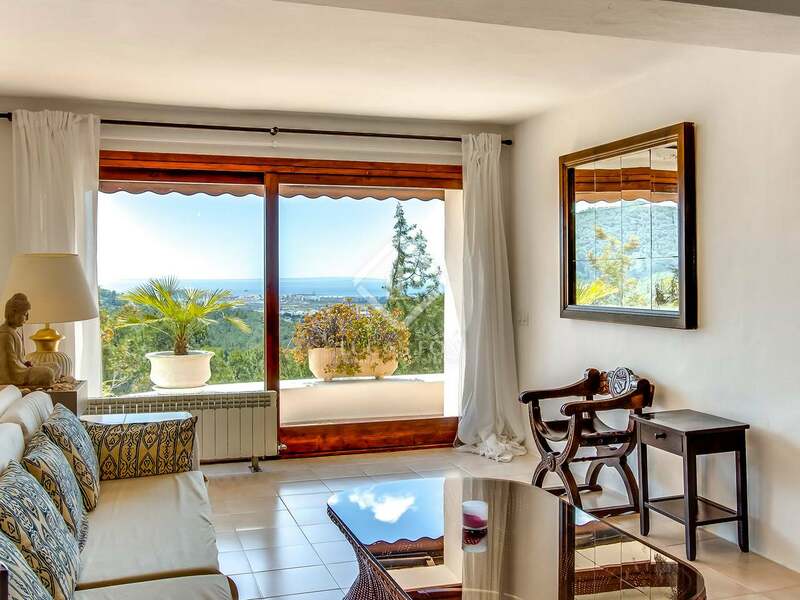 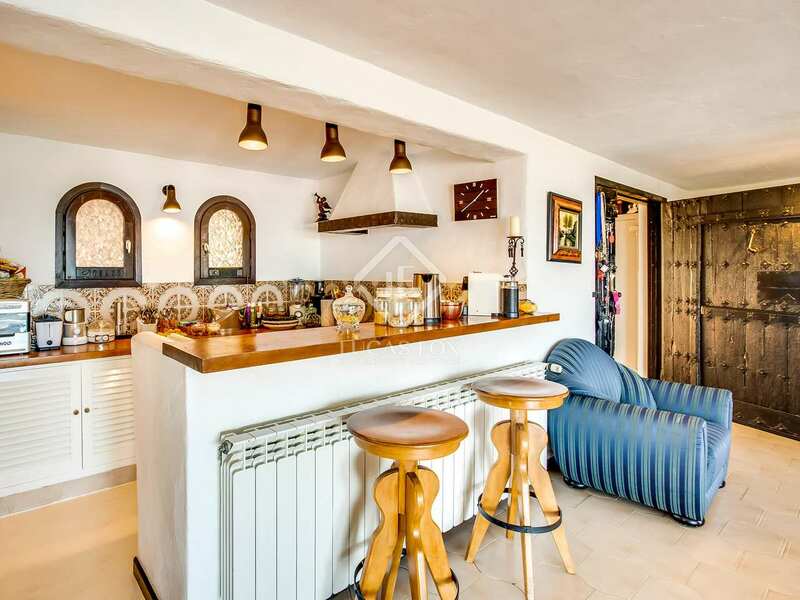 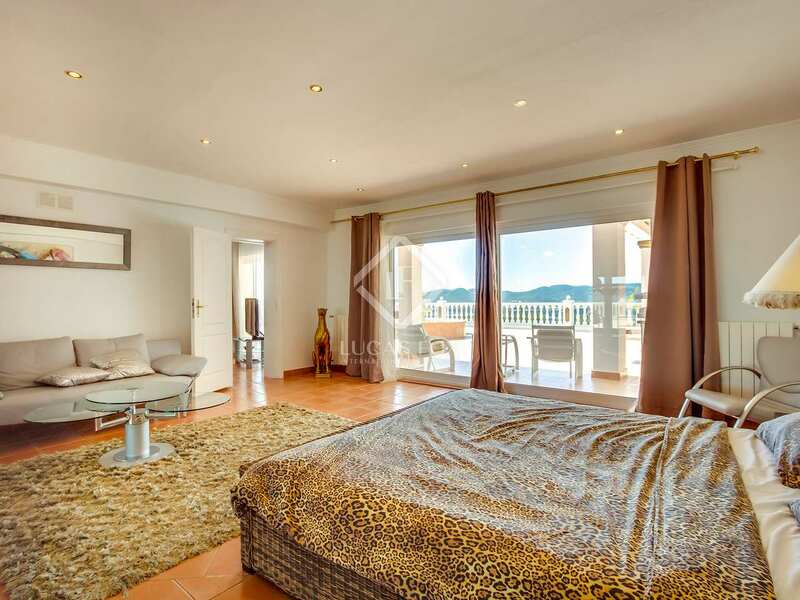 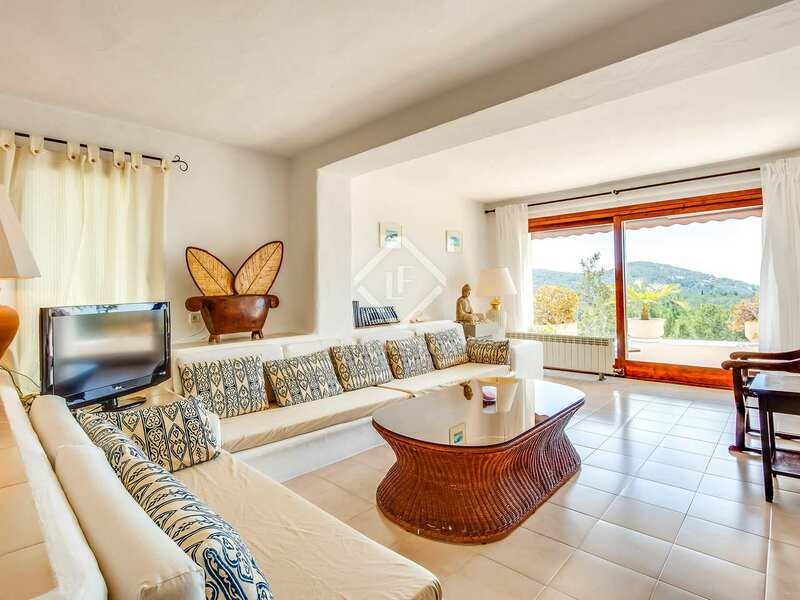 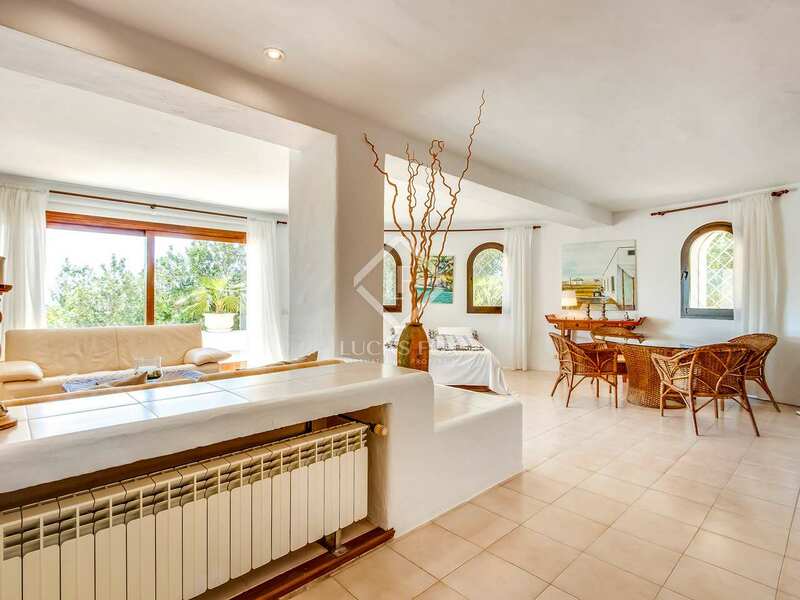 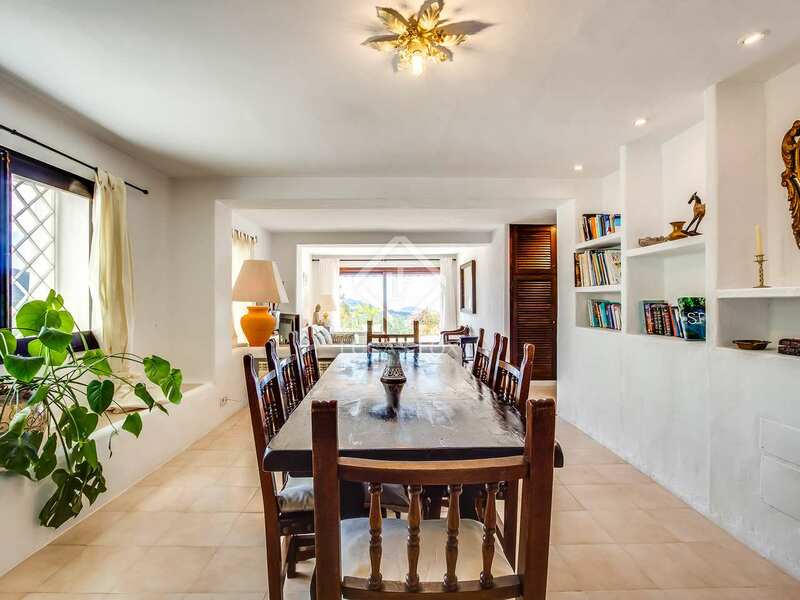 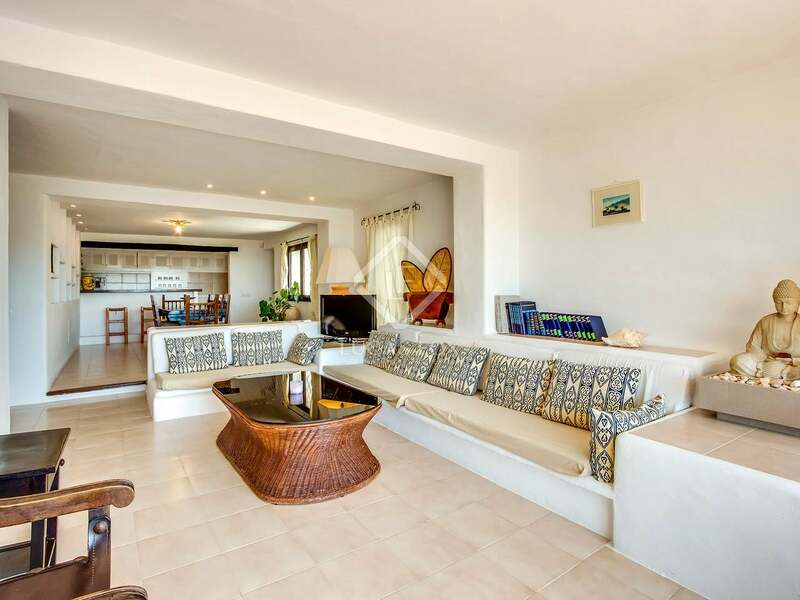 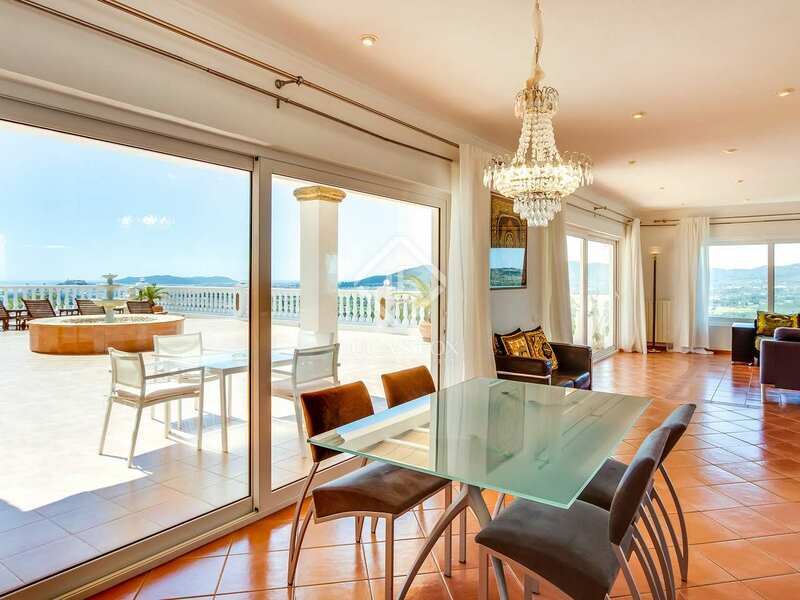 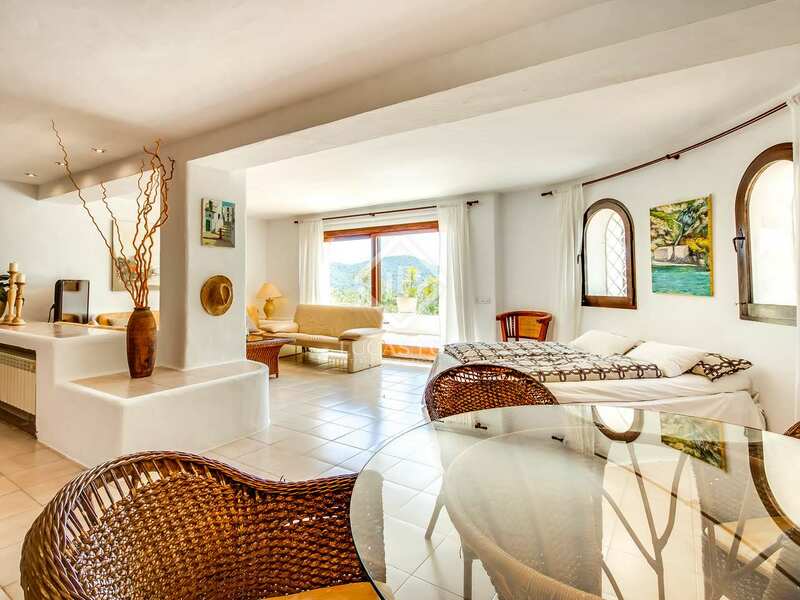 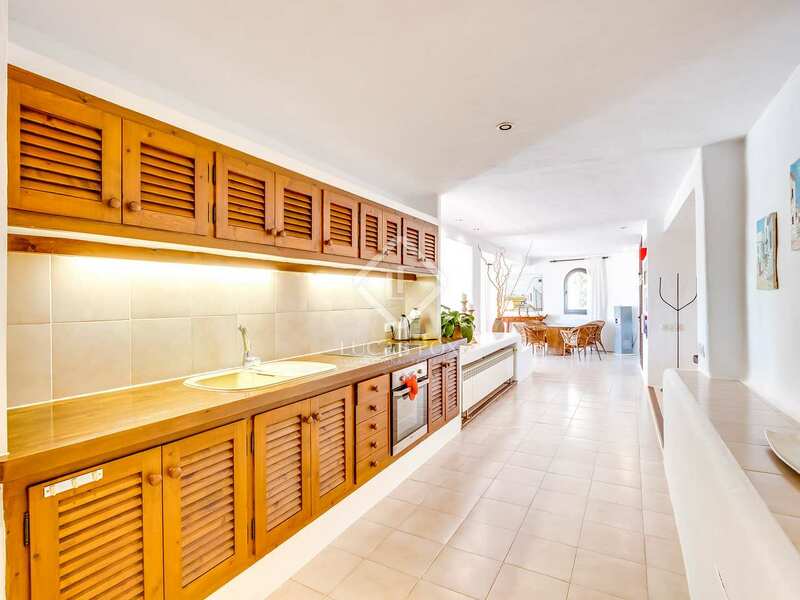 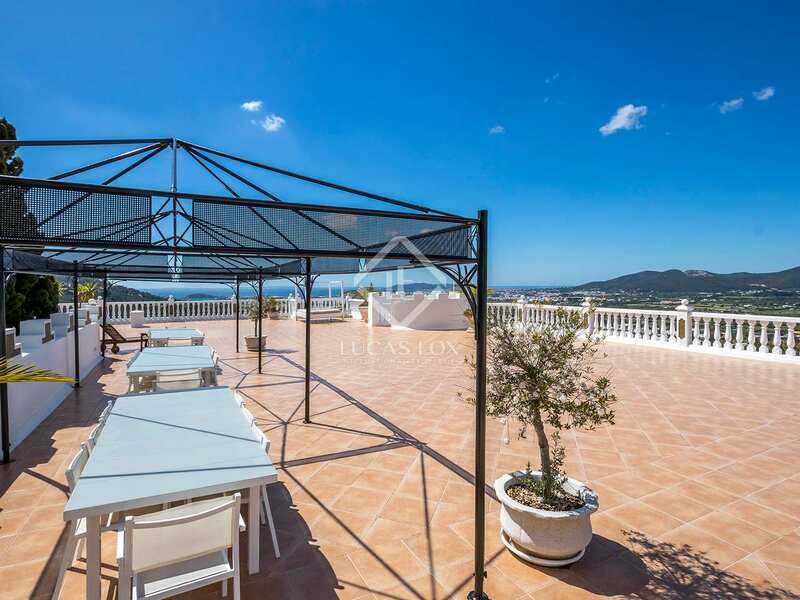 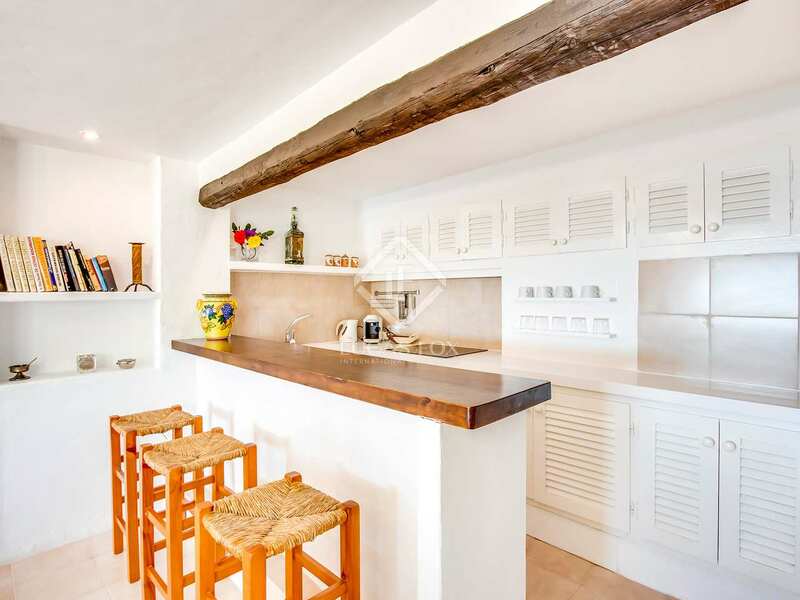 It makes a breathtaking family home, and thanks to a tourist license and a layout that includes several kitchens and living rooms it also offers an excellent investment and rental potential. 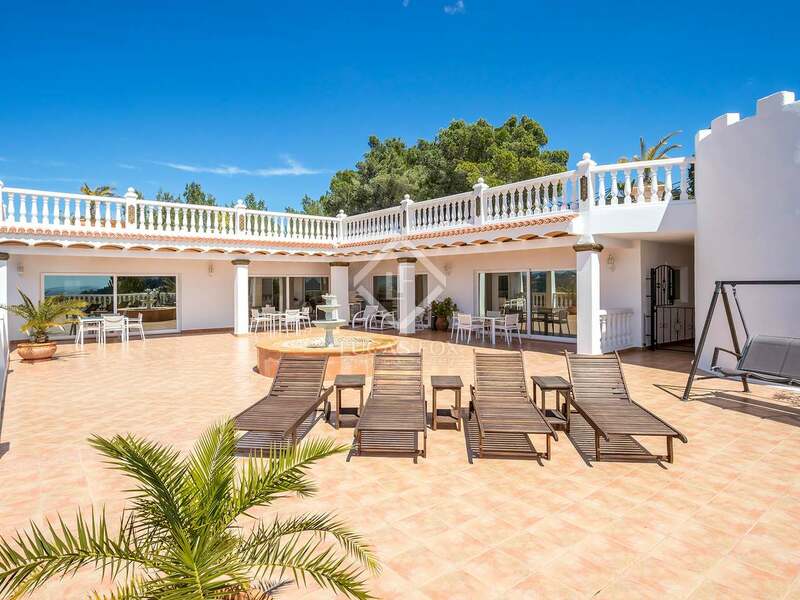 Other features include parking for 10 cars, a spacious garage and separate staff accommodation. 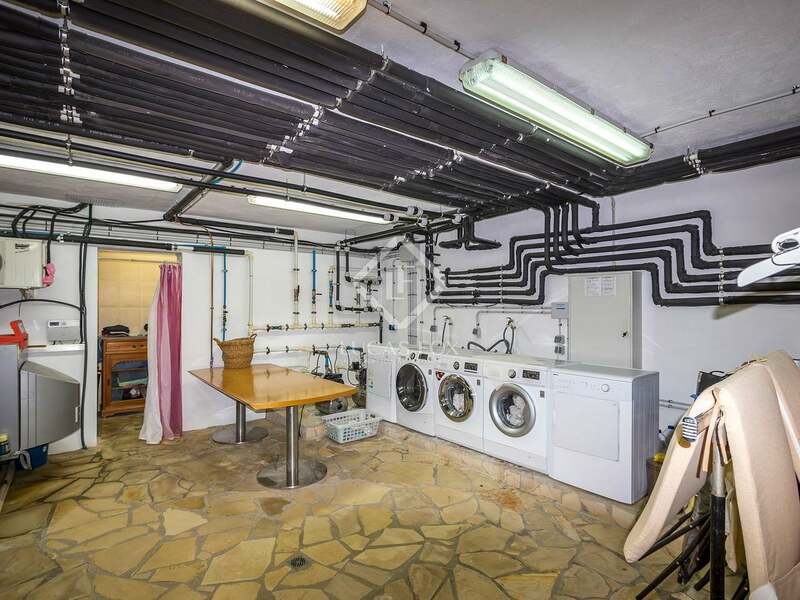 There is also a professional laundry room. 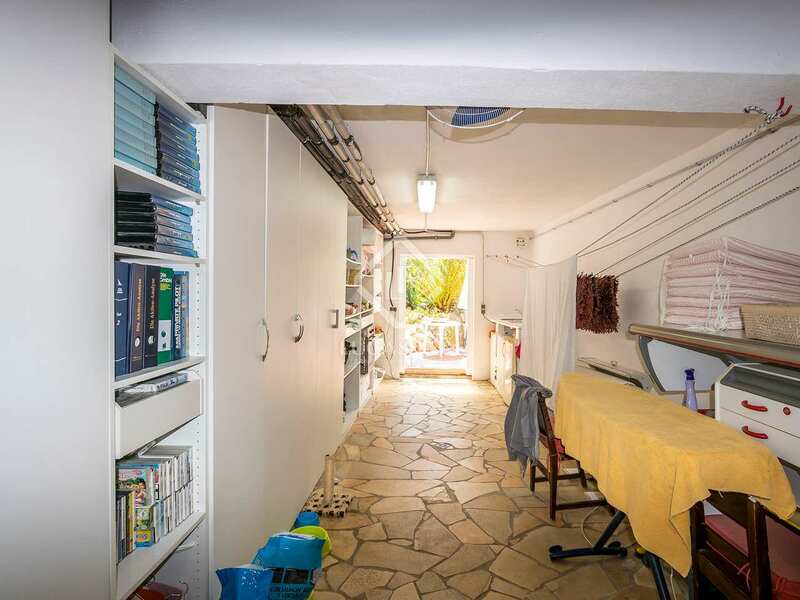 In addition to 24-hour security, the Can Furnet urbanisation also offers residents use of its own tennis courts. 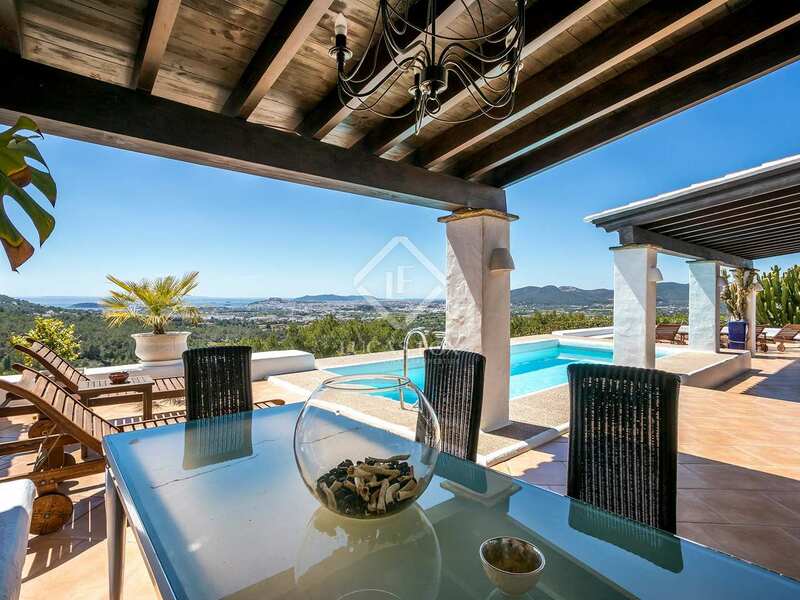 The secure gated Can Furnet urbanisation is in the rolling green hills just 5 kilometres from Ibiza Old Town. 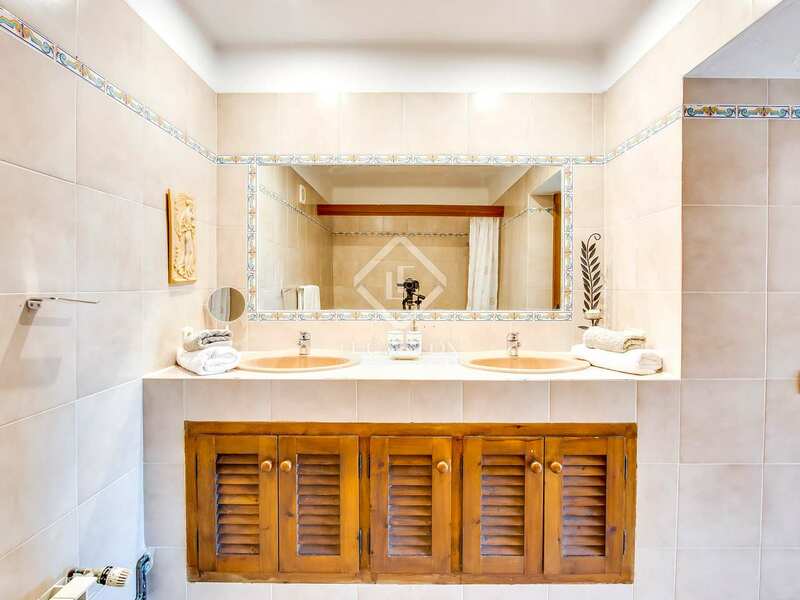 The mansion offers the perfect combination of lush natural surroundings, security and privacy along with very easy access to the rest of the island. 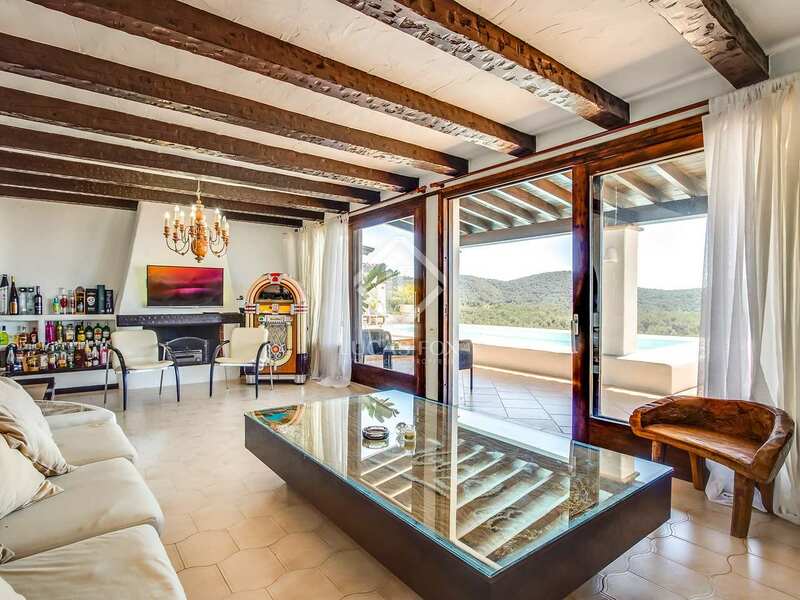 Choose from the Old Town and scattered villages with their rich Ibiceno history, or the buzzing restaurant scene and glittering superyacht lifestyle that make the island such a popular destination. 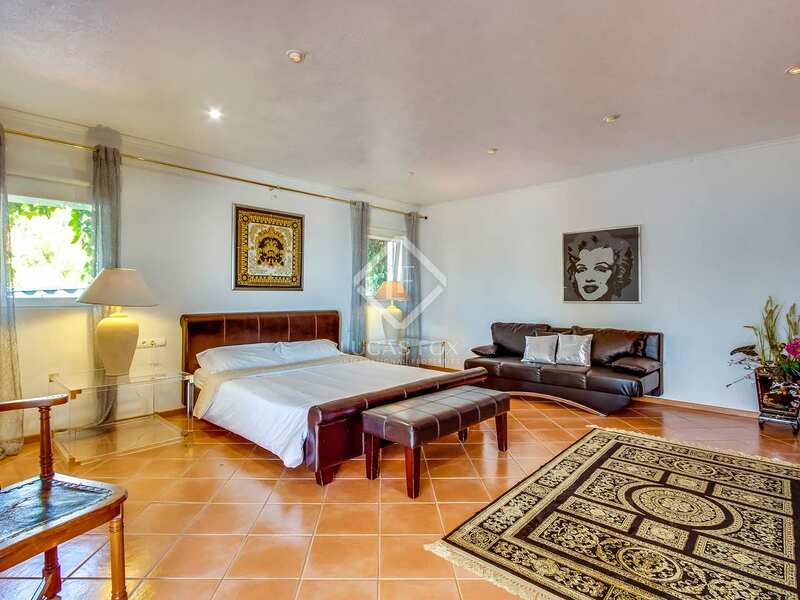 Of course, the wealth of night clubs is famous throughout the world. 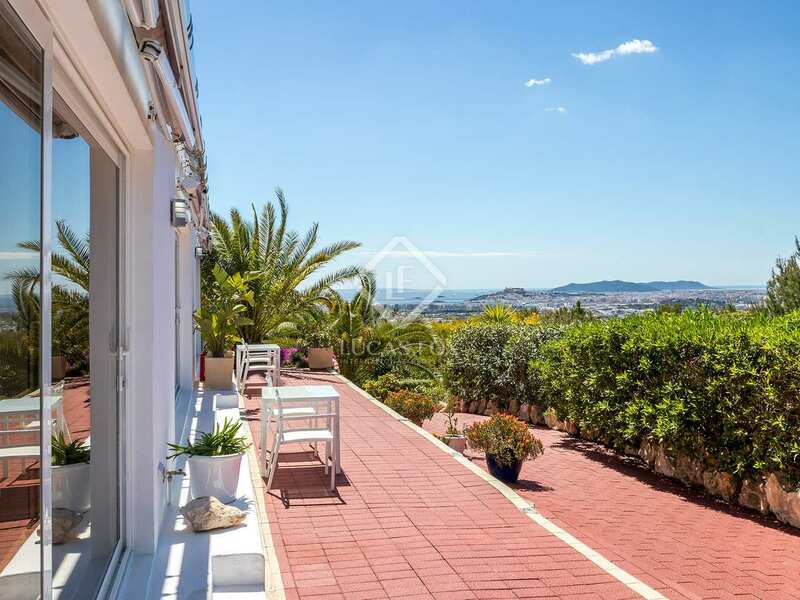 The beautiful beaches of the compact White Isle are also within easy reach, and the airport, just a 12km drive away and visible from the house, makes it easy for international families and visitors to travel to and from Europe and beyond.